It’s time to look at one of those films that you may have heard of. It’s certainly possible since it was in theaters for a while, but at the same time, I wouldn’t be surprised if you just missed it. 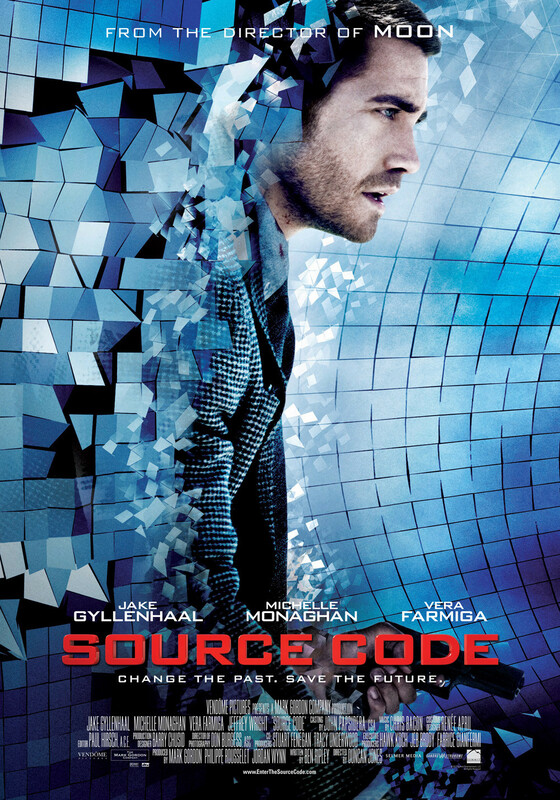 Source Code is a pretty interesting film and I thought that it was a fun ride. Reliving the same 8 minutes over and over again is always a fun plot. (It’s unique as far as the 8 minutes goes, but not when you consider the reliving plot itself) We saw that kind of plot in Edge of Tomorrow recently so let’s see how this worked out back in the day. Captain Stevens was in a war and he was leading his troops through a pretty tough ordeal. Somehow, he is now on a train very far away from the war in Afghanistan. Chicago may be a nice city, but Stevens isn’t ready for a vacation. The plot thickens when he finds out that this is actually a virtual world. The government wants him to find out who bombed the train so that they can find him in real time before he sets off some more explosions. The government is being pretty evasive about what this program actually is, but Stevens doesn’t exactly have a choice in the matter. They keep on sending him back whether he wants to go or not. He may as well solve this case and save some lives then right? We get quite a few twists so I naturally won’t spoil them. It’s handled pretty well and you’ll definitely understand once they say what the real situation is. I personally thought that Stevens had been captured by the villains and was being tricked, but it turns out that my guess was actually wrong this time. Scarier things have happened I’m sure, but that was pretty shocking. One question that I had with the film was whether reliving 8 minutes would actually take 8 minutes in real time. The brain moves much faster than the body so I imagine that experiencing 8 minutes of memory would only take a few minutes. That being said, it is experimental technology so I can definitely let that slide. Although, the film enters into plot hole territory when the main character gets off the train during one of his survival attempts. We see the explosion and he still gets to live for quite a bit longer until the train hits him. It could also just mean that the explosion simply cuts him short on the normal attempts and he actually should have had more time. It’s debatable I suppose. Another part of the film that could stretch your imagination a little bit is why the government thinks this will actually work. Even if Stevens finds the bomber, what if the organization sends a different bomber this time. The government seems positive that there is only one man pulling the strings, but they did evacuate the whole city so this seems like a very serious situation. If this villain has planned things so well, it’s safe to say that it won’t be very easy to catch him. Things play out pretty conveniently for the government, but it’ll still make you wonder. The government does look pretty corrupt as per usual. That’s pretty sad for their fans, but at least there is one government agent who seems to be pretty responsible. She sacrifices a lot to help out at the end. In contrast, Steven doesn’t have to sacrifice much since he’s in his memory. He even gets to meet a friend and the ending is pretty upbeat for him. It’s a pretty good ending that I didn’t think left much room for a sequel and was satisfying for just about all of the charcaters involved. Things will get dicey for the heroic agent in the real universe, but at least we have the memory one to fall back on. Overall, Source Code is a pretty enjoyable film. It’s a pretty simple thriller/mystery that never loses sight of itself as the film goes on. We don’t get any wasted scenes or parts of the film that drag on. You’ll never be looking at your watch because the on screen action is engaging. There may not be a lot of fight scenes, but we do get some action and the main character is a nice change from your typical lead. He was in the army so he knows how to fight and he is always ready to take command of the situation. I definitely recommend this to Sci Fi fans and to anyone who wants to watch an interesting film. If this does end up getting a sequel, it’ll be interesting to see how it’s handled. I’m assuming that it will be about the project and the government will try to get someone else involved, but we shall see. Either way, I doubt that it can beat the original. This entry was posted in Live Action Movie Reviews, Live Action Movies, Reviews and tagged Film Review, Movie Review, Review, Sci-Fi, Source Code, Time Travel by dreager1. Bookmark the permalink.